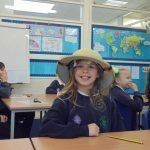 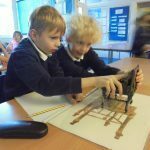 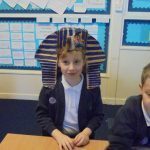 Sapphire Class were lucky to have a visitor to school – an Egyptologist who shared her vast knowledge with the children. 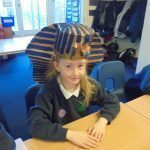 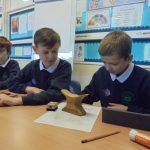 They learned how to be an Egyptologist by looking at artefacts, counting in Egyptian numbers, myths about the Gods, the mummification process and they made their own scarab out of clay. 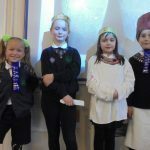 ‘Earth, Sun and Moon’ workshop and ‘We Are Aliens’ planetarium show.